On Wednesday 25th. 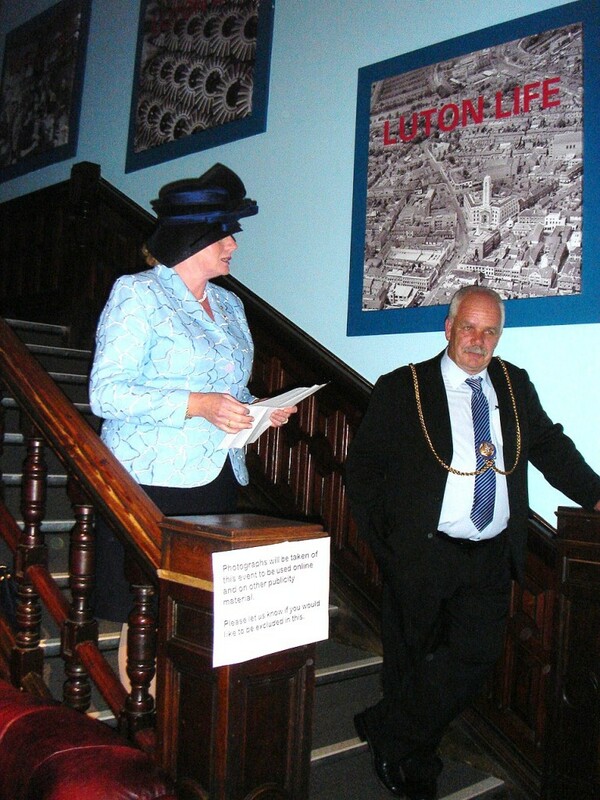 August, one of the wettest evenings of the summer, 20 livery members, their wives and guests visited Luton’s Wardown Park Museum for a private viewing of their exhibition showing felt hat making through the years. We were joined, after a horrendous journey for her, by our Master Susan Wood and by Luton’s Mayor, Tom Shaw, and his Lady Mayoress. Waiting for us in the foyer was a very welcome drink and some delicious canapés and from here we moved through to the exhibition room where displayed on the walls were some wonderful old photos of local hat factories, some still in use, some unfortunately not. 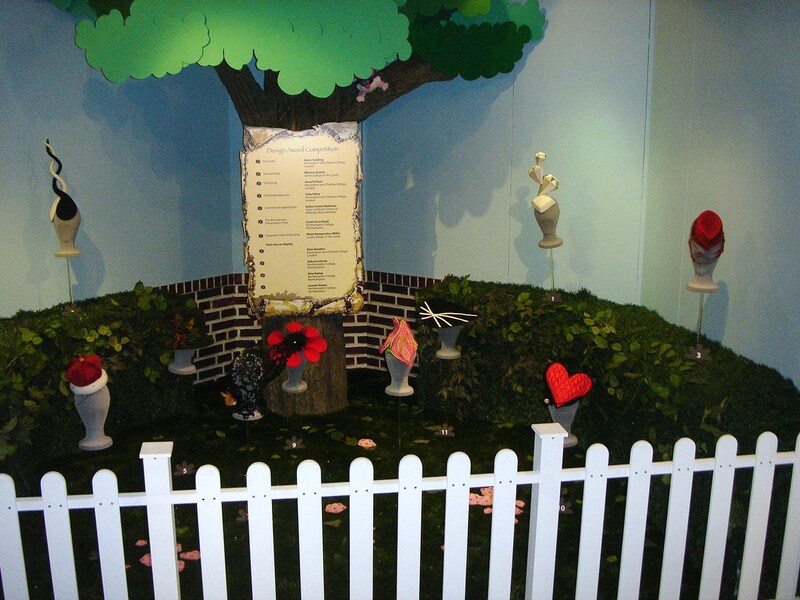 Their were also photos of the machinery used at those times, again some of it still in use, with the exhibits taking us through the different stages of hat making. 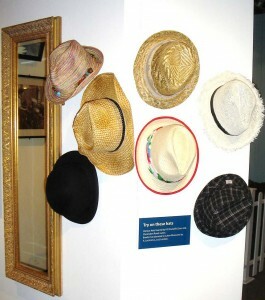 Along with these were samples of felts at their different stages together with a small selection of straw and felt casual hats for the public to try on if they wished. 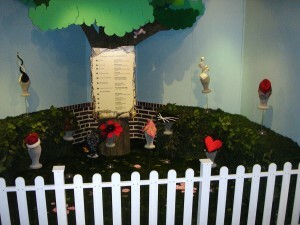 This certainly gave you a small insight into the tremendous work that goes into making the finished article. 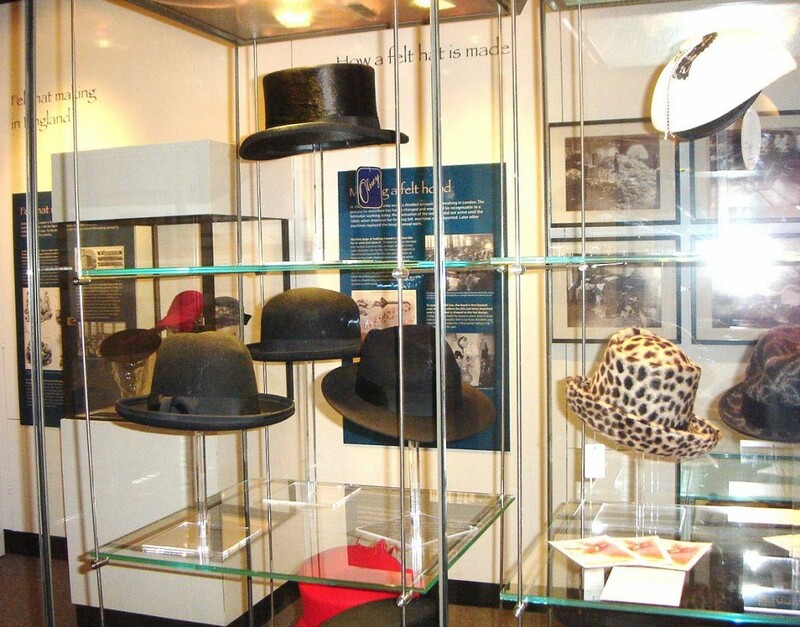 Also on display were hats of various styles, colours and finishes, amongst them a top hat, a bowler (donated by A.Lock and Co.), fedoras and straws. Taking up the far corner of the exhibition was a delightful display of some of the entrants from our Annual Hat Award, amongst them this year’s winner a wonderful spiral creation, and in the last display cabinet in the room was the Feltmaker’s Charter, the Master’s Hat, a Past Master’s Badge, the Loving Cup and the Company Seal. Nearing the end of the evening the Mayor gave a short speech wishing the Company and trade much success and our Master closed the evening by thanking everyone for attending and particularly Past Master Horsman for his help with the exhibition. The visit now over, we gathered our raincoats and brollies and braved the unceasing rain for our journeys home.